Sometimes interior architecture can be as interesting as the exterior one. 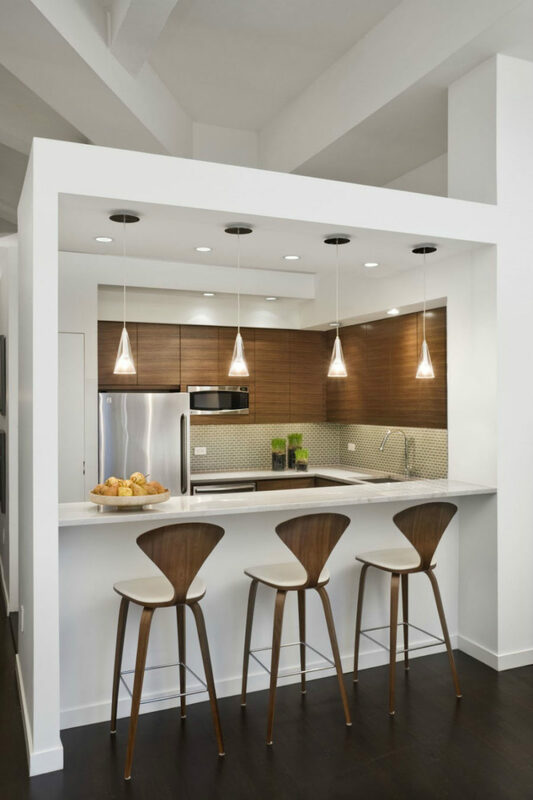 Contemporary interior architecture elements, however, are all about adding function to the house or preserving the fashionable open layout. They can also look quite decorative and designing. Take a look at this variety of elements that make home extra special. Glass walls are still somehow refreshing after being a thing for years, and that’s why you should take advantage of them. 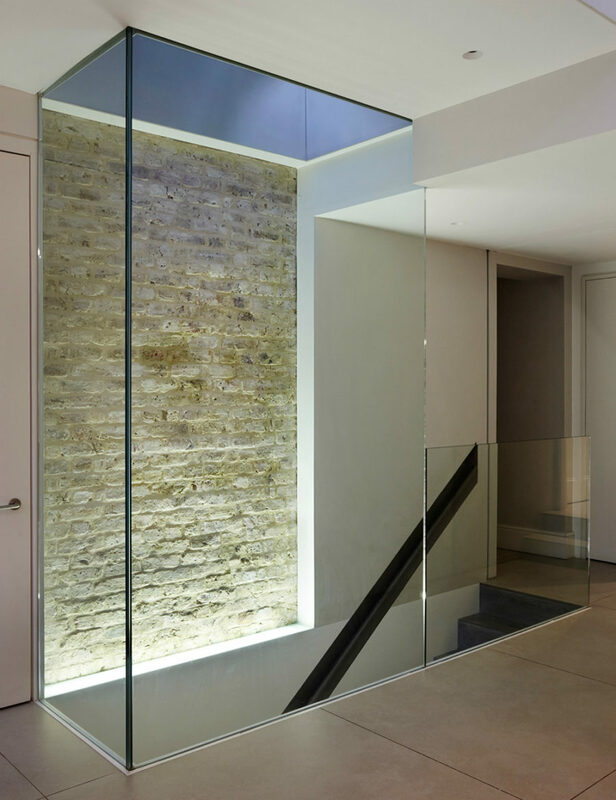 Easy to install, glass walls leave rooms open to the rest of the layout, rendering space airy. Curtains can help increase privacy without boxing each room in. Glass room dividers may even be easier to install, but they bring about the same element of openness to space. Framed or frameless, glass walls look contemporary and stylish. They may not be as good when it comes to sound-proofing, but you would only need that for more private rooms. 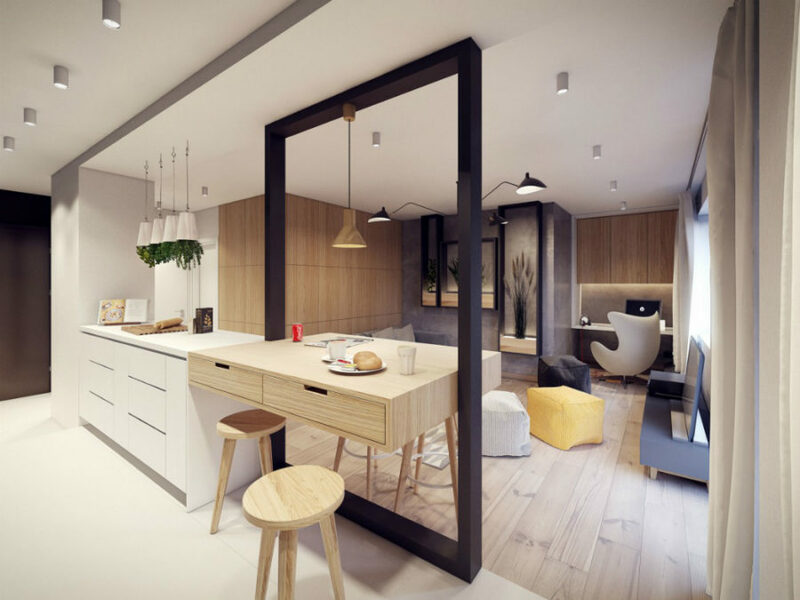 In the public area of living, dining, and cooking function, you can make use of glass walls and dividers to allow the light from all windows converge in the main area or keep the room looking spacious. 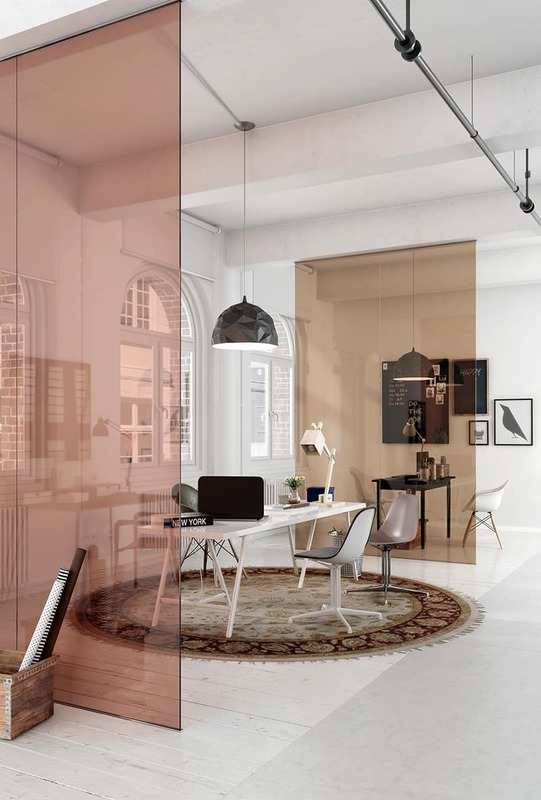 Tinted glass can provide your rooms with a degree of decor, but they also can visually separate rooms. 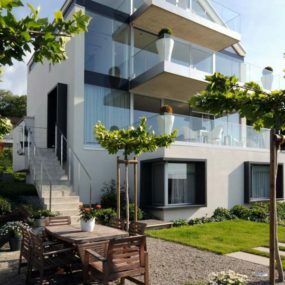 Screens, like glass dividers, are very popular at the moment, and not only in exterior architecture. 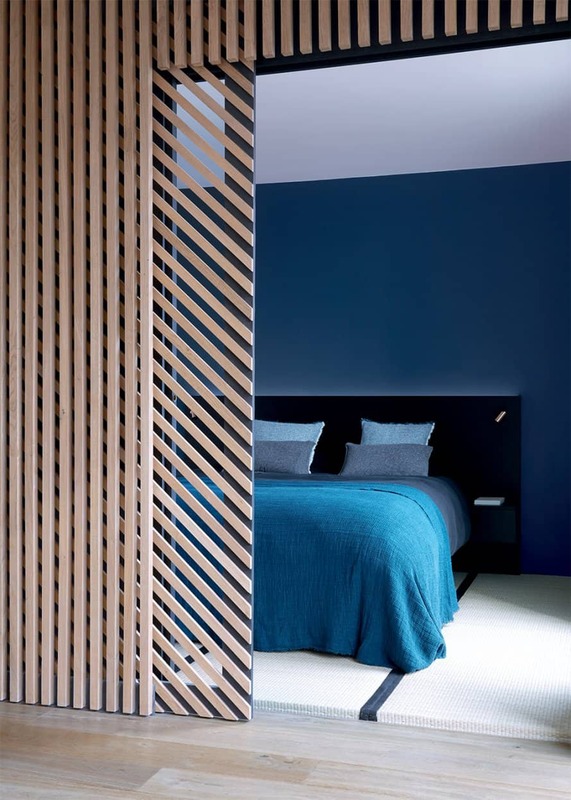 If regular walls have you bored, wooden slat screens can bring more dynamic and style into your life. These contemporary interior architecture elements are trendy for a reason. They look incredibly stylish, and they are immensely versatile. Take a look at the wall with a pocket door above. It looks unique and cool. 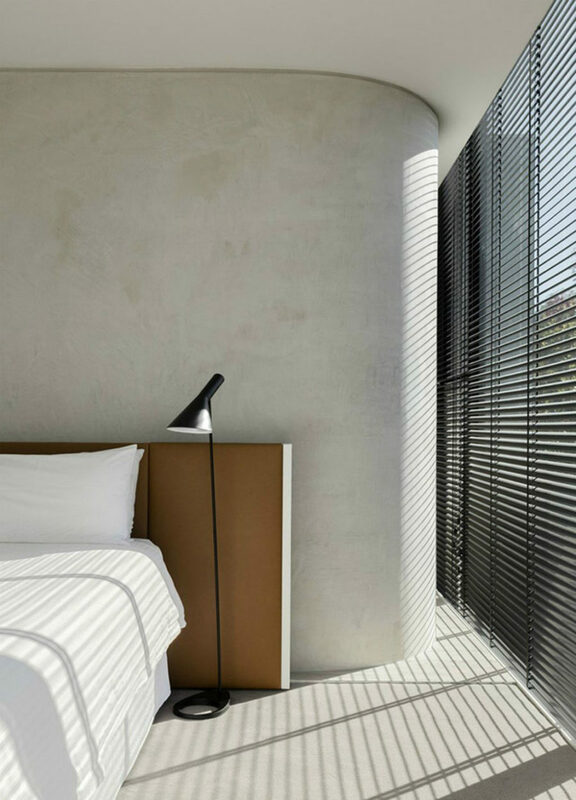 Wall’s vertical slats play well with the door’s diagonal elements, and it looks just fresh compared to good old plaster walls. The beauty of screens is that you can find them in such a variety of states. Here is a sliding wooden slat door the size of a wall. It separates the kitchen from the rest of the house, but it still allows the view of its contrasting black design. A screen is plenty decorative and doesn’t have to necessarily be functional. It may simply add an eye-catchy design element to your interior. Aidlin Darling Design put one into their Skyhaus project. The thing stretches from floor to the double-height ceiling, and with protruding sculptured relief it, looks like a beautiful architectural element – no more, no less. 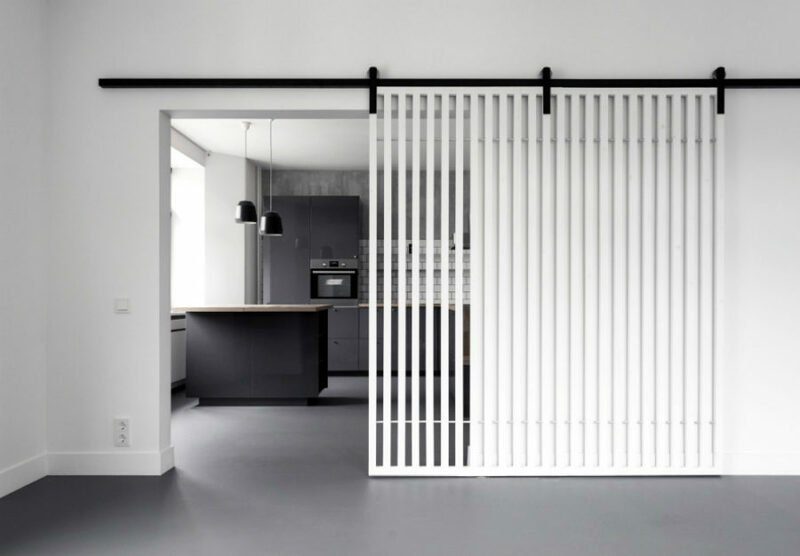 Wall slats can be more prominent than simple screens. 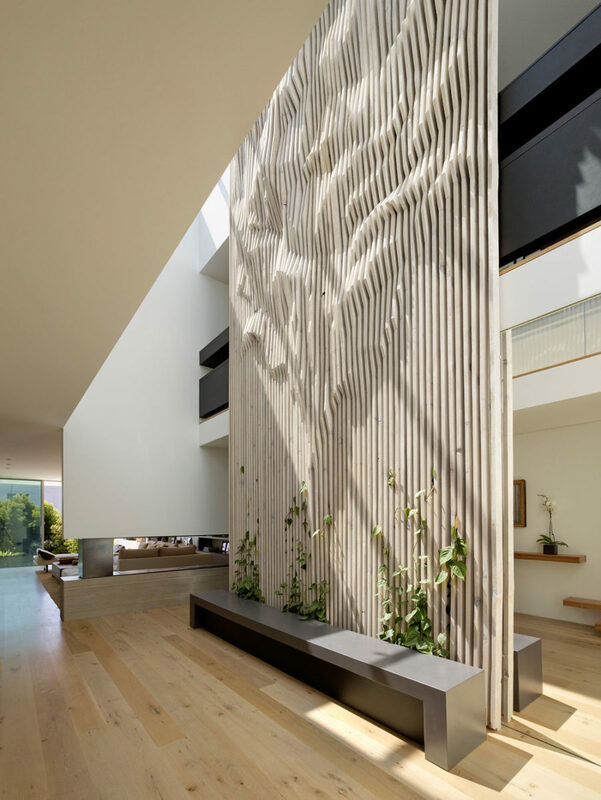 The trend right now is to build walls with sections of wood or plaster that appear as those in screens. The example above is a stylish way of introducing a screen into the interior without it looking flimsy or standing in the way. Nothing can decorate one’s house quite like a staircase. 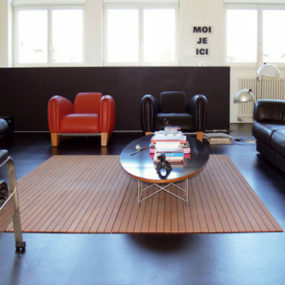 Contemporary idea is to design it to be functional, but use all the immediate space for expressing unique ideas. 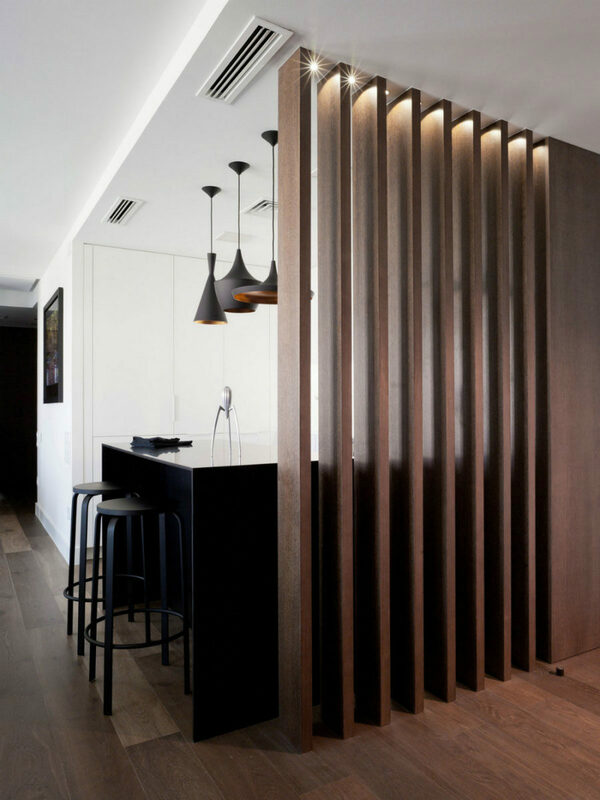 Here our theme of wooden screens continues with impressive double height slat walls surrounding a simple-looking staircase. It not only provides safety but also allows visual communication between all zones affected by the presence of the staircase. 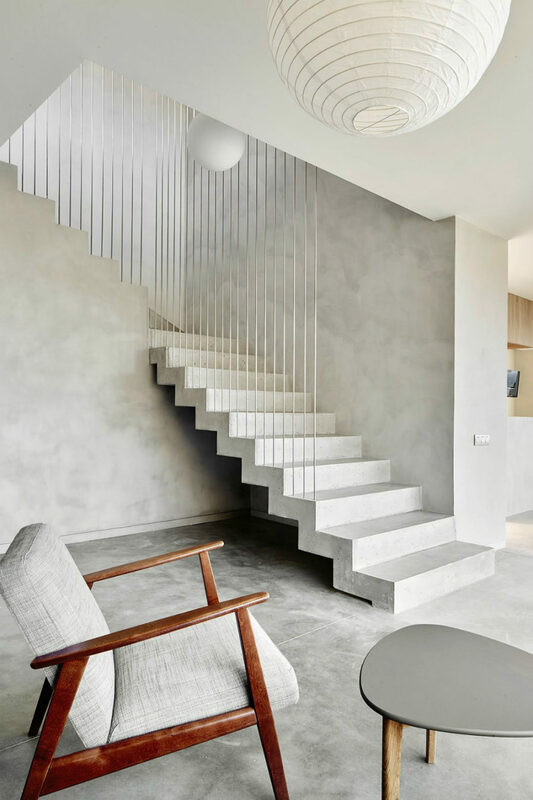 There are lots of ways to design a staircase, but, as it turns out, there are also many supplements to it. Metal rod staircase railings look unconventional, but not particularly unsafe. 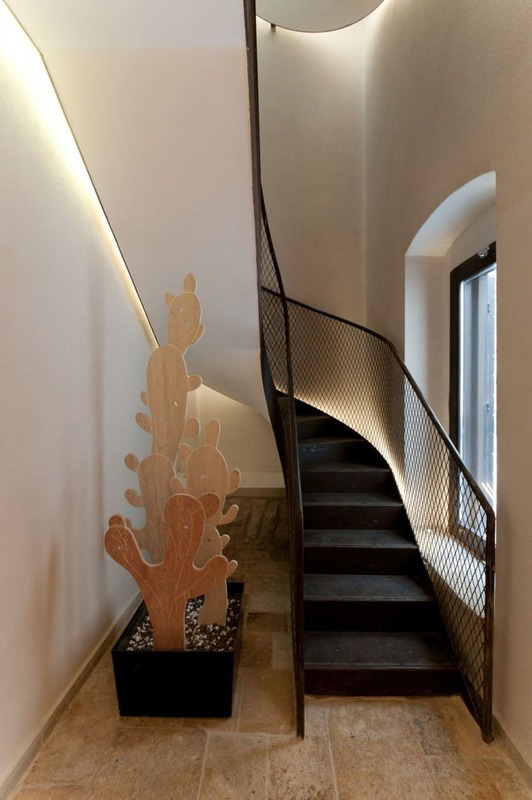 They also look fitting opposite concrete stairs. 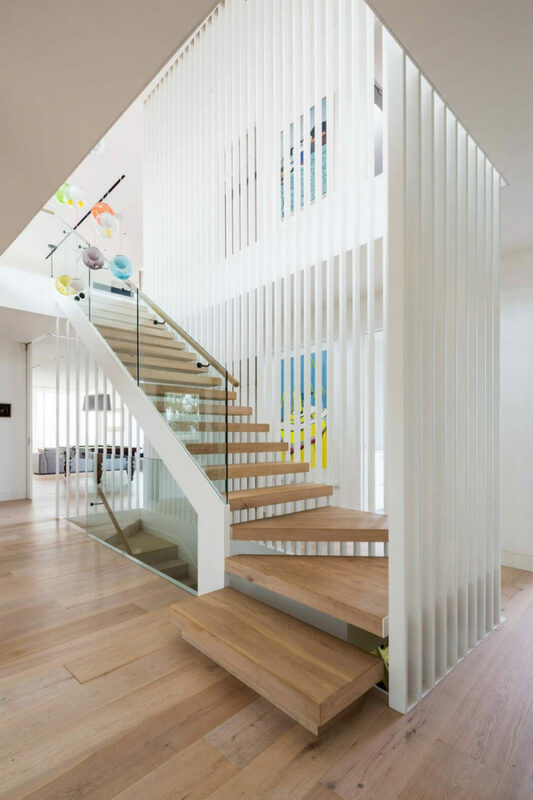 Glass railings are very popular in contemporary architecture, because they contribute to the open layout. They also allow to show off the staircase design. 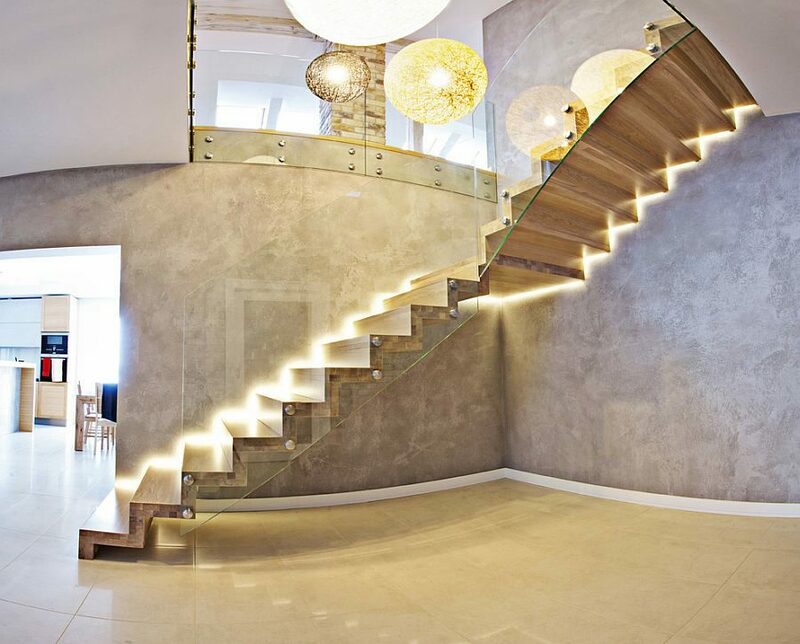 Staircase lighting may not be a part of architecture, but it definitely decorates and highlights its design. The shape of a staircase may not seem important or even anything that could be changed till you see how a simple curve can undo the mundanity of this magnificent architectural element. Additional angles may seem like a lot of fuss, but boy can they give your rooms an incredibly unique look. They don’t even have to be a part of the existing architecture. 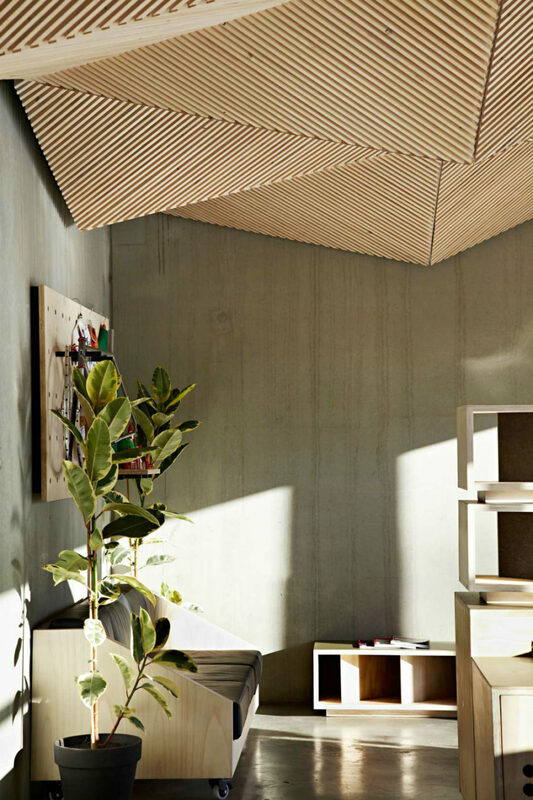 Take a look at the geometric wooden origami ceiling by Assemble. It transforms space both physically and visually, but it’s merely an element of interior decor. This is a perfect solution for the homes that were already planned to be straight as a cube. 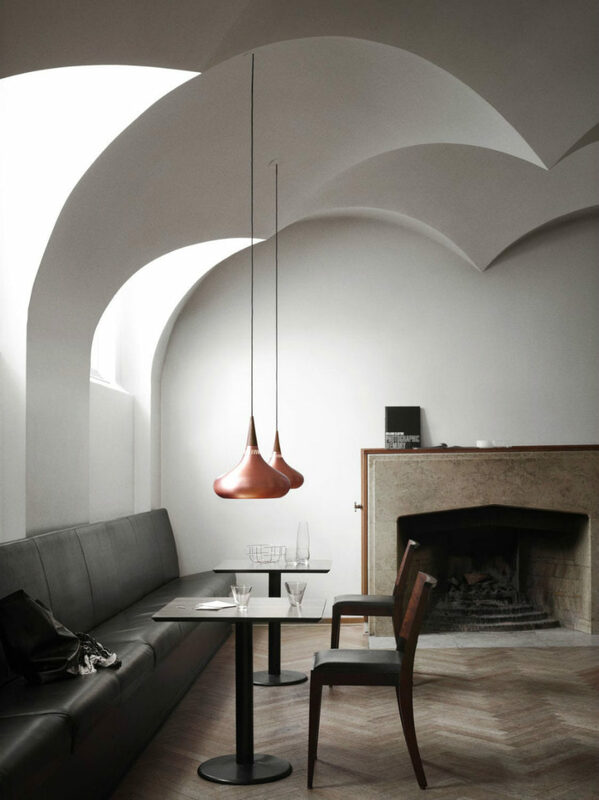 Adding such an element can give your interior architecture something to show off. 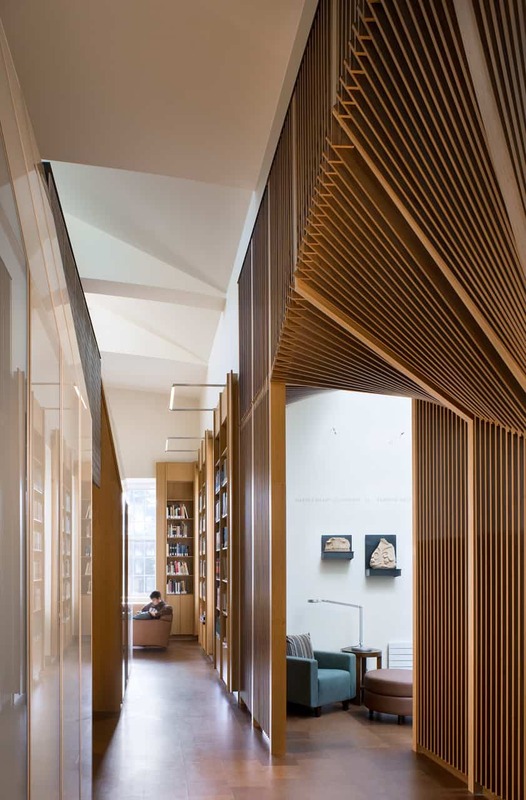 Another great example of this interior ‘non-architecture’ is Joukowsky Institute by Anmahian Winton Architects. Its interior wooden walls open up, twist and turn, and create an unusual look, prompting an idea of a completely unique interior architecture. 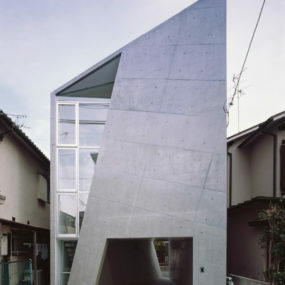 Sometimes angles come from the original building architecture, and that’s great too. You could really exploit those peculiarities in your interior design. Many prefer attic apartments and all kinds of former barns and industrial buildings just for that. You won’t usually see curving lines in housing, but that doesn’t mean it’s impossible or unreasonable. Curves may not always be efficient, but at times they may even help you save space. Curving corners and ceilings are, of course, first and foremost decorative. And you will have to invest money and effort into shaping them. Aren’t they worth it, though? 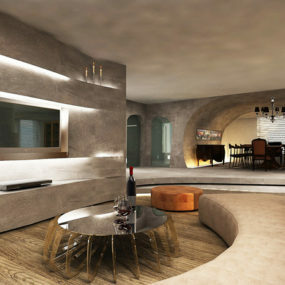 Just look at the impressive arches of the ceiling below or a perfectly fitting shape of the seat in the nook above. There is something very special about curving ceilings. Arches go back far in history, but the modern designs can look even more unique. If you aren’t a fan of vaulted ceilings, you may find curving arcs helpful in creating a focal point in the room. Curving walls are more prevalent these days. It’s a great way to avoid awkward corners. 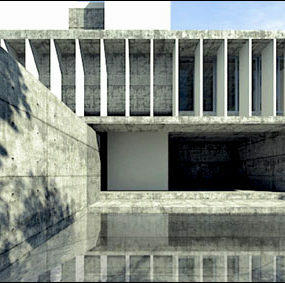 In LSD Residence, the rounded walls are the result of a curvature that wraps around a shower. As function prevails over aesthetics more and more, storage walls become a bigger part of interior architecture. Even decorative half walls like this one, separating the bedroom from bathroom, double as a storage solution. Storage walls are great, though, because they may aid in creating hidden rooms and privacy nooks, if big open spaces leave you feeling agoraphobic. Take this library wall, for instance. Its pocket door may continue as a white wall because there is no frame to indicate that it is a door. Storage walls are great for dividing big spaces into rooms that are organized and neat. Wall frames are the latest trend in interior architecture, it seems. While frames don’t seem to have much function, they can do wonders in open layouts, separating as well as connecting various zones to each other. In That 60s House, the idea was to simply create a framed space for the eating area separate from the kitchen island. Contrasting with the white kitchen, the frame keeps working and leisurely zones apart, echoing the rest of the modern design. 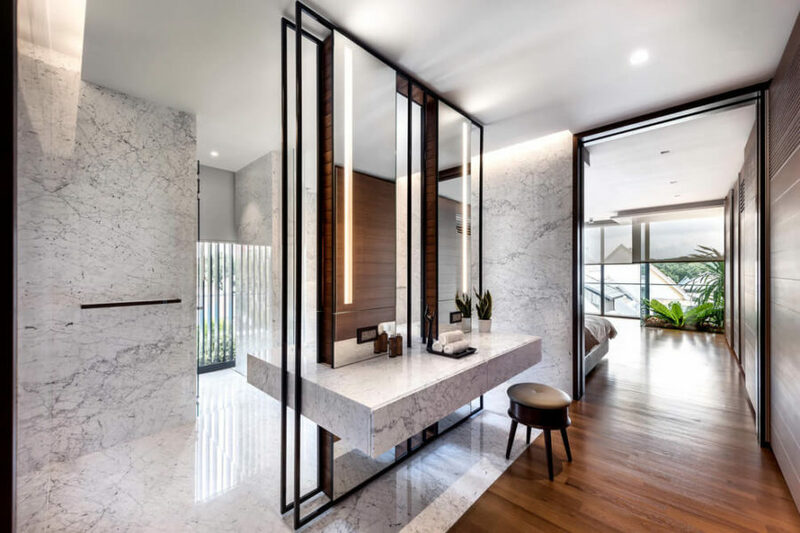 The similar idea was employed by Ming Architects, who instead of dividing the entire bathroom, opted for framed wall-sized mirrors to hold the vanity and sinks. 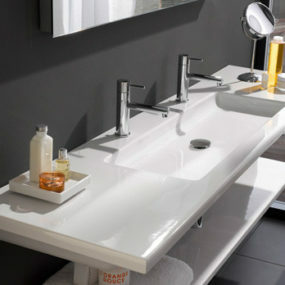 These create two different areas – the bath itself and a beauty vanity, where the residents can simply pamper up and get ready. A kitchen peninsula is one of the best contemporary interior architecture elements because it is so versatile. It can look dramatic as well, just supplement it with a wall frame like in the loft above. Contemporary interior architecture elements may be all about function, but you can never have enough unique ideas that look beautiful.